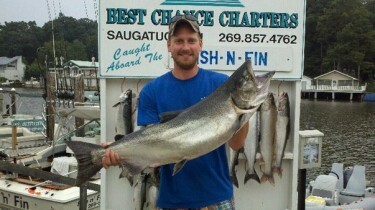 Home of Best Chance Charters for the ultimate in Lake Michigan sport fishing step aboard one of the many charter boats from the ports of Saugatuck and Holland. We provide you the ultimate experience in Lake Michigan sport fishing for salmon, trout, and perch. We can accommodate families, company outings, and parties of all sizes, and offer both morning and afternoon departures from our docks. 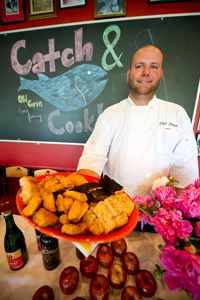 Catch & Cook Event Lake Erie!